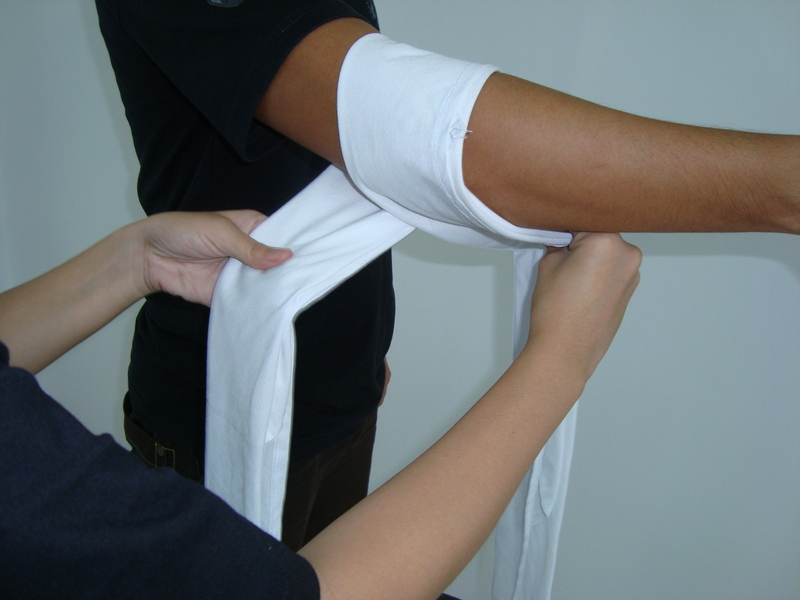 This bandage is ideal for injuries on the elbow. 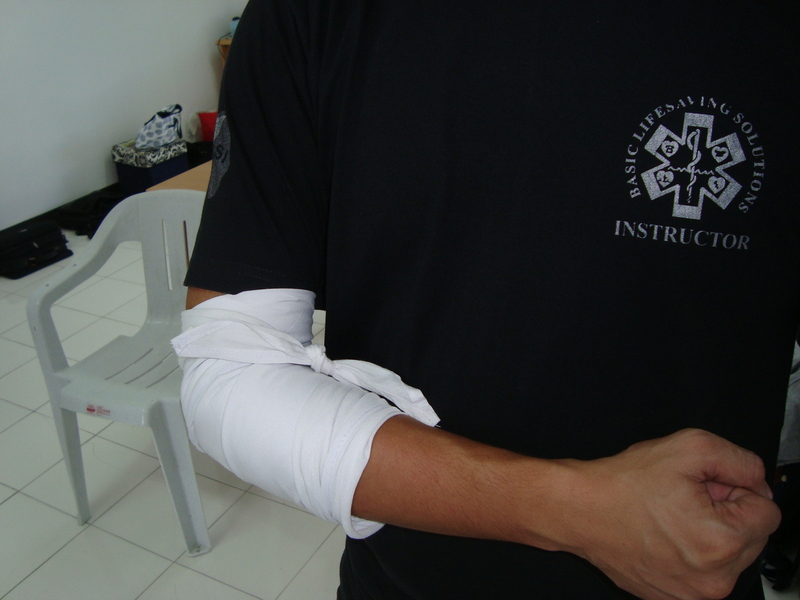 Please be advised that the dressing must be applied first before the bandage and illustration below is for bandaging purposes only. 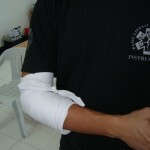 Place the center of the bandage on the elbow (figure 1). 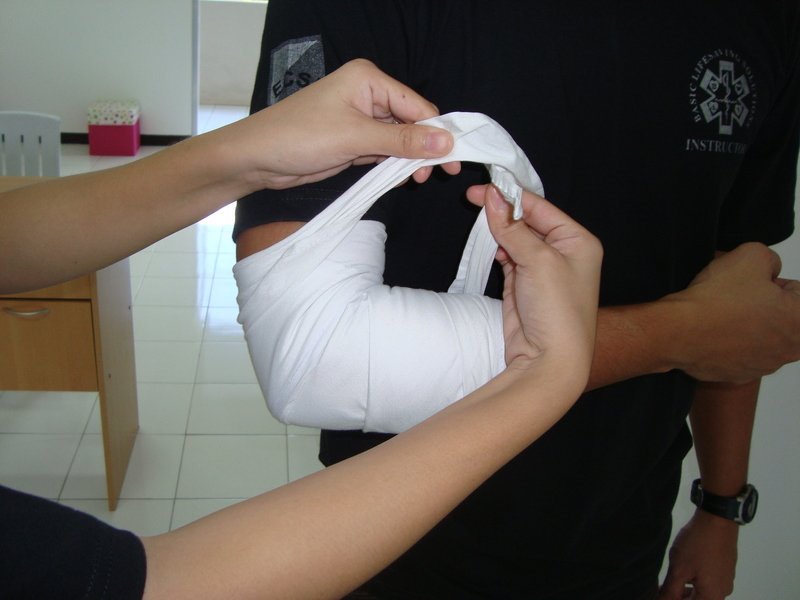 Move each end of the bandage opposite each other (figure 2). 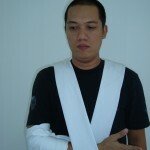 One end goes away and the other towards the patient. 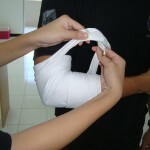 As you roll the bandage, slightly overlap each side (figure 3). 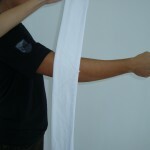 Continue the movement till you reach the forearm on one end the biceps on the other end (figure 4). 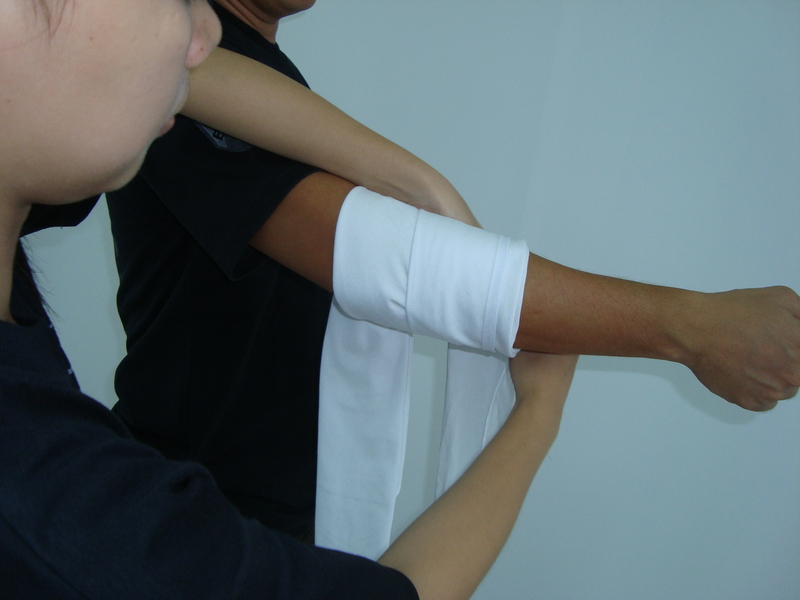 Advice the patient to bend the elbows and bring the two points together (figure 5). 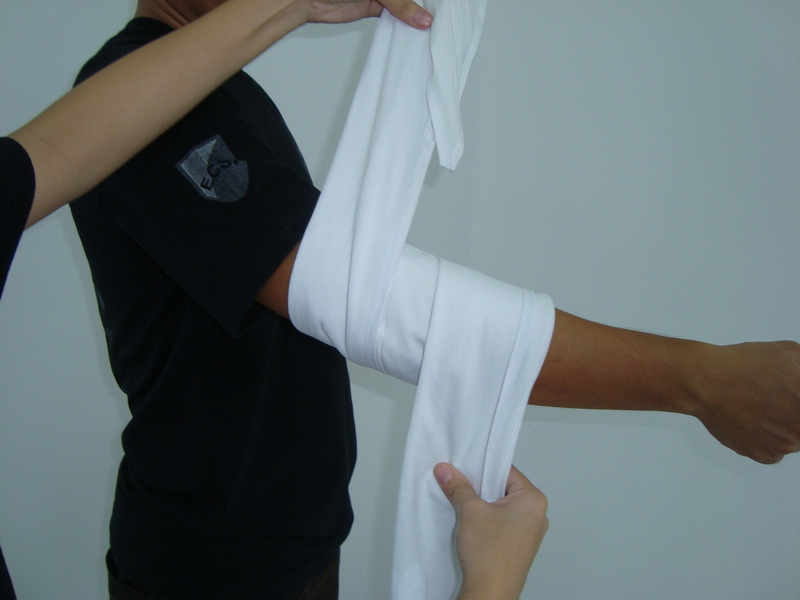 Lock the end points by making a square knot (figure 6). 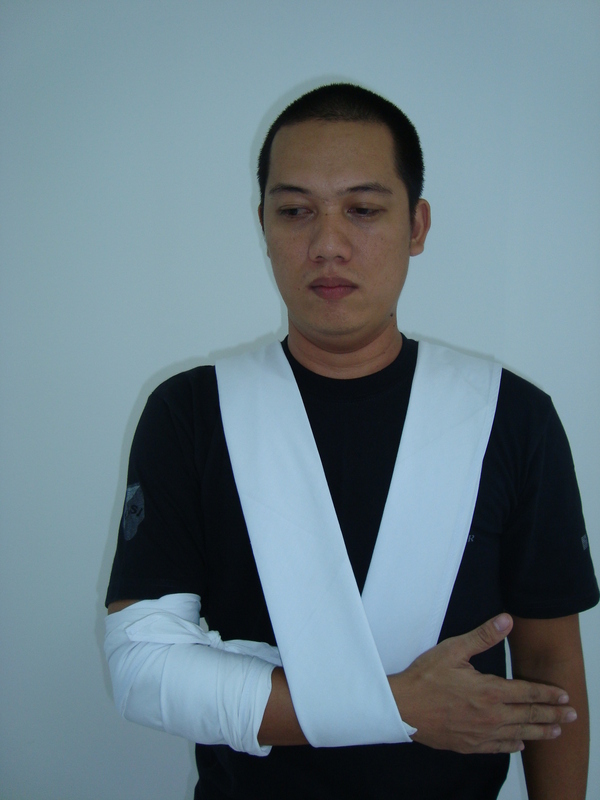 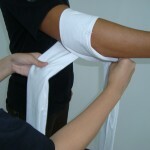 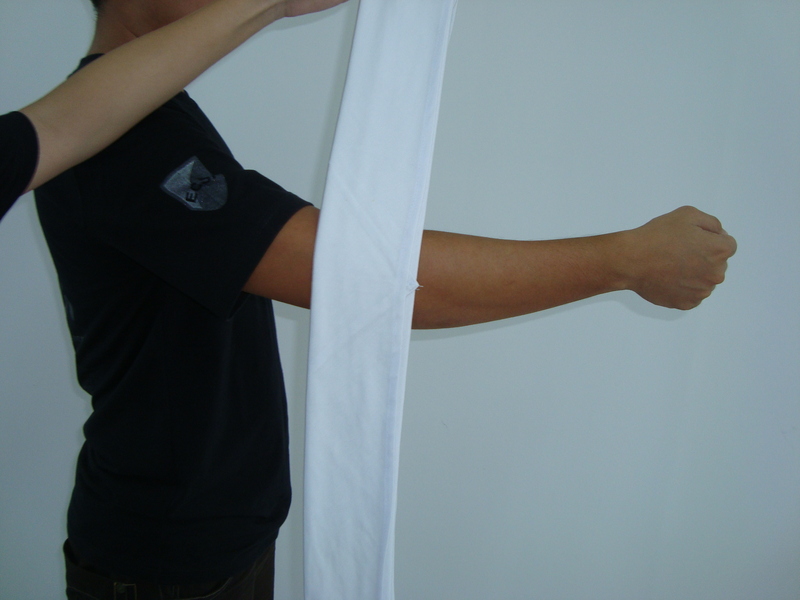 You may apply an armsling using a cravat to support the elbow bandage application (figure 7).